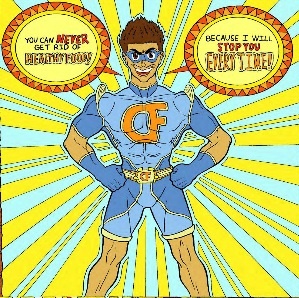 On April 17, 2015, Librarians Talicia Tarver and Deidra Woodson, along with LSU-Shreveport art student, Nick Fechter, launched the web version of their comic book, The Amazing Captain Fit to the healthelinks website. 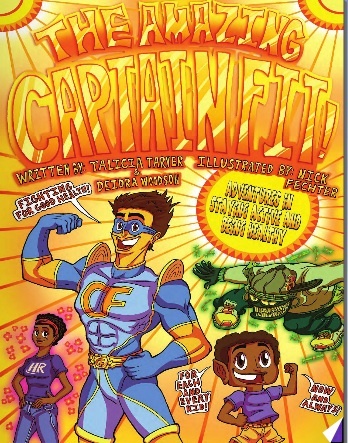 Funded through an NN/LM Health Information Literacy Award, the comic follows the adventures of a young boy who aspires to be just like his favorite superhero, Captain Fit. However, the boy must first complete a series of tasks to make sure he is himself healthy and ready to help Captain Fit. This project was the result of a partnership between the LSU Health Shreveport Health Sciences Library and the LSU Health Shreveport Department of Pediatrics. Both parties wanted to find a creative way to fight childhood obesity and reach out to the minority population in the Caddo Parish region of Northwest Louisiana. The print copy has already been distributed throughout the community with the cooperation of the Shreve Memorial and Bossier Parish Library systems, as well as the LSU Health Shreveport Department of Pediatrics. You can read the online version here: http://www.healthelinks.org/kidshealth/.